In April of 2018, the Surviving Sepsis Campaign (SSC) released a new version of its popular and widely used Sepsis Management Bundles. These bundles outline the initial sepsis treatment steps recommended by the SSC. The new guideline combines the 7 steps found in the previous 3- and 6-hour bundles into a single 5-step bundle to be completed within 1 hour. Measure lactate level. Remeasure if initial lactate >2 mmol/L (18 mg/dL). The release of this bundle update has provoked considerable controversy in the sepsis and critical care communities. While most clinicians know the importance of early intervention in sepsis, some believe that 1 hour is insufficient time to administer all the required steps, and may lead to hasty, inappropriate and even dangerous care. The voices of dissent have grown louder (see here and here), with some even calling for the retirement of the SSC Guidelines. It seems like there’s a war going on in the sepsis world. Even before this update, complaints were emerging in some critical care circles about the requirements of the SSC bundles and SSC guidelines in general. Adoption of these bundles by the US Centers of Medicare and Medicaid Services (CMS), which put these recommendations into law in the form of the SEP-1 Sepsis Management Core Measure, further exacerbated the situation. SEP-1 requires US hospitals to comply with these bundles and report their performance, or face potential financial CMS reimbursement penalties and hospital rating downgrades. This requirement places considerable administrative burdens on hospitals, and many clinicians are concerned with a universal treatment mandate that may not be clinically appropriate in all patients. Given the controversy surrounding the new SSC 1-hour Sepsis Bundle, we at ESCAVO decided to find out for ourselves what clinicians in the trenches really think about this development. Over a period of 30 days between July 9th and August 10th of 2018 we conducted a survey in our Sepsis Clinical Guide app asking our users whether they support this new bundle and why or why not, along with a number of other related questions. 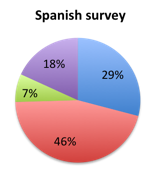 The survey was conducted in English and Spanish according to user device language settings (users with their mobile device set to use Spanish saw the Spanish version, the rest saw the English version). The English version of the survey is shown below. The survey contained 7 questions as listed below. The options to question 3 varied depending on the user’s response to question 2. Were you aware of the new 1-hour SSC Sepsis Bundle? Do you believe that 1 hour is an appropriate length of time in which to complete the treatment steps recommended by the new SSC Sepsis Bundle? Is your institution planning to implement the new 1-hour SSC Sepsis Bundle? Please enter any other comments you may have about the new 1-hour SSC Sepsis Bundle: Free text entry. 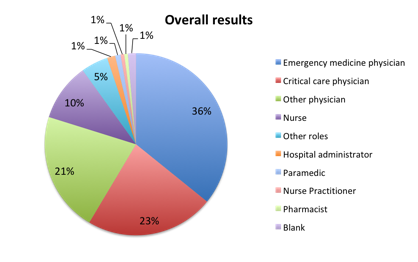 We received a total of 625 responses, 302 in the English survey and 323 in the Spanish survey. In total, 66 countries were represented in the responses, with the US, UK and Italy being the top responders in the English survey, and Mexico, Columbia and Peru being the top responders in the Spanish survey. See question 7 below for a breakdown of the top 10 responding countries in each survey. The answer breakdown to the survey questions are listed below, both overall, and broken down by survey language. 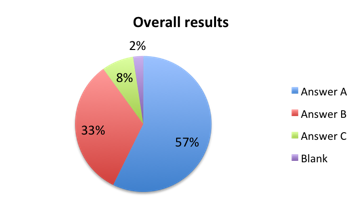 Significant differences in answer distribution were found between the English and Spanish surveys for some of the questions. This is further discussed in the Results analysis section below. Question 1: Were you aware of the new 1-hour SSC Sepsis Bundle? Question 2: Do you believe that 1 hour is an appropriate length of time in which to complete the treatment steps recommended by the new SSC Sepsis Bundle? 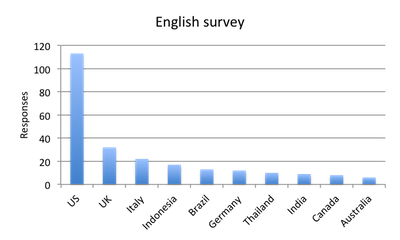 Figure note: The sample numbers (N) shown here are based on user responses to the Country question 7, and are incomplete (not all users filled out the country field). 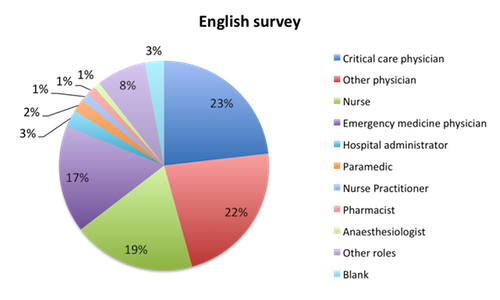 See figure 7 below for a chart of a more complete geolocation-based count of the top 10 responding countries in each survey. Question 3: Which of the following best matches the reason for your choice to the previous question? Question 4: Is your institution planning to implement the new 1-hour SSC Sepsis Bundle? Question 5: Please enter any other comments you may have about the new 1-hour SSC Sepsis Bundle. Below is a sample of responder comments for each survey translation. These have been edited for language and clarity where needed, and Spanish comments have been translated to English. Words added or revised for clarity are shown in brackets. The responder’s country is shown in parenthesis if entered in question 7. Unless separately listed, the ‘Other physicians’ category includes internists, surgeons, obstetrician-gynecologists, anesthesiologists, specialists in infectious disease, respiratory medicine, urology, or other unspecified physicians. Figure note: The countries listed here are based on the survey platform’s geolocation-based country report rather than responder answers, as these answers were incomplete. However, the two datasets place the same countries in the top positions. Given the significant controversy surrounding the new SSC Sepsis Bundle, we expected a more evenly mixed reaction. 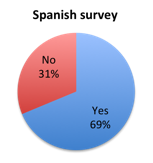 However, the large majority of survey responders welcomed the new 1 hour timeline, with 80% showing approval. That said, interesting response variations were observed among different geographies and clinical roles indicating the bundle is not equally favored everywhere and by all healthcare providers. Responders approved of the new bundle (question 2) at a somewhat higher rate in the Spanish vs. the English survey, driven primarily by high approval ratings in Spanish speaking South American countries. Columbia and Peru, for example, had very high approval ratings at 83% and 85%, respectively. Mexico, the largest responder is the Spanish survey, was a notable exception to this trend, showing a lower approval rate of 69%. Brazil, the only non-Spanish speaking country in South America whose responses were gauged in the English survey also showed a lower 70% approval rate. European countries generally had high approval ratings, with 91% in the UK, 92% in Spain, 72% in Italy and 75% in Germany. 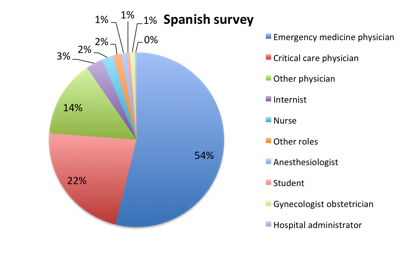 Approval was also very high in Asia (85%) and Australia (100%), and about 70% in India. In the US, the largest responder, approval was 72%. Overall, 57% of respondents reported plans to implement the new bundle in their institution. 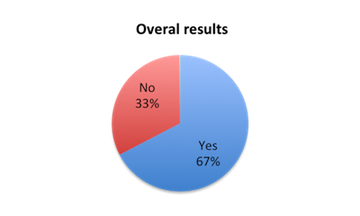 This percentage was higher (69%) in the Spanish survey than in the English survey (44%), again reflecting greater support for the bundle in this population. 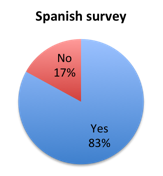 Interestingly, when assessing how responders favored the new bundle relative to whether they knew about it prior to taking the survey, those who had prior knowledge of it (answered yes to question 1) highly favored it (86%), whereas those who did not (answered no to question 1) tended to favor it far less (67%) (table 1b). This effect was strongly driven by Spanish survey respondents where 92% of those who knew of the bundle prior to the survey favored it vs. only 62% of those who did not. This may indicate that the 1 hour time requirement does not make a good first impression, but that people become more convinced once they educate themselves on it. Or it may just indicate that people who do not read guidelines tend not to think very much of them. 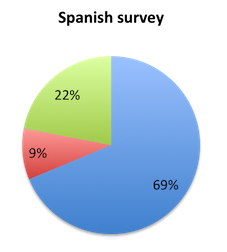 Overall, 67% were aware of the new bundle prior to taking the survey (figure 1). We also examined how healthcare professionals in different roles viewed the new bundle. In general, nurses tended to view the new bundle more favorably than physicians. 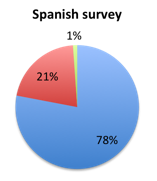 In the English survey, 84% of nurses viewed the bundle favorably vs. only 75% of physicians (table 1a). 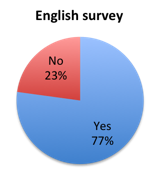 Among physicians in the English survey, approval of the bundle was similar among critical care, emergency medicine and other physicians, 76% vs. 74% vs. 76%, respectively. In the Spanish survey, nurses again saw the bundle more favorably than physicians, 100% vs. 83%, but the nurse sample size was very small. Physicians in the Spanish survey saw the bundle more favorably than those in the English survey (83% vs. 75%), with emergency physicians in Spanish speaking countries in particular having a very favorable view of the bundle at 88% (see table 1a). Next, we examined the reasons behind responder opinions of the new bundle (question 3). Overall, the majority of responders who favored the bundle thought it was appropriate because the evidence in the literature shows that completion of its steps within 1 hour leads to superior outcomes (answer A). Interestingly, most of this was driven by Spanish survey responders where 78% picked this choice vs. only 34% in the English survey. 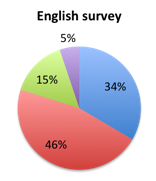 In the English survey, most responders (46%) instead selected choice B, namely that the bundle was appropriate given that mortality increases with each hour that passes without treatment. In both cases the fewest people selected choice C, namely that the bundle reflects clinical reality at the bedside since many hospitals already apply these steps, 15% in the English survey and 1% in the Spanish survey. 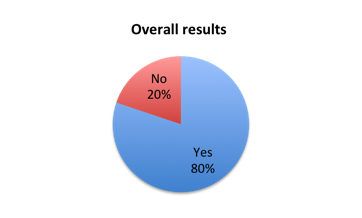 A similar difference in answer choice was also seen among responders who disapproved of the new bundle (answered no on question 2). 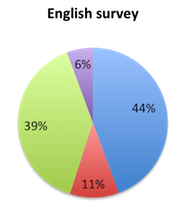 In this group, 44% in the English survey selected choice A indicating that 1 hour is not enough time to practically administer all the bundle steps vs. only 29% in the Spanish survey where most responders instead selected choice B, namely that 1 hour is insufficient time for thoughtful decision making and forces clinicians to apply cookbook medicine. A lower and about equal number of responders, about 20% in both surveys, were concerned that the bundle may lead to increased inappropriate antibiotic administration and other harm such as volume overloading (answer D). Only 6-7% or responders gave absence of evidence in the literature (answer C) as the reason for their disapproval. Based on these responses, it would appear that a far higher number of people in Spanish speaking countries, primarily in South and Central America but also Spain, who approve of the new bundle do so because they believe it is based on evidence in the literature. On the other hand, the majority of English speaking approvers, particularly in the US and Europe, do not believe the new bundle is evidence based, but rather support it because they believe treatment delays generally increase mortality. 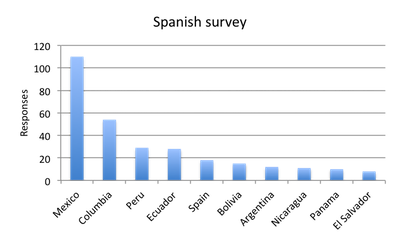 The only European exception to this trend was seen in the UK, where a greater percentage of approvers also believed the bundle is evidence based. This difference may be due to how respondents in different countries interpreted the evidence in support of this bundle in the current sepsis literature. Numerous studies have indeed shown that faster treatment of sepsis through application of these steps, particularly early antibiotics administration, does greatly improve sepsis outcomes. However, to our knowledge, no studies have specifically examined the benefits of initiating or completing all bundle steps within 1 hour. A recent large New York State Department of Health study, which incidentally was used as evidence in support of the new SSC bundle, did show an increase in mortality with each passing hour of delay in completing the previous 3-hour bundle (OR=1.04, 95%CI 1.02-1.05, p<0.001), but this study did not specifically assess completion of bundle items within 1 hour. In fact, the cumulative probability of 3-hour bundle completion by 1 hour was only 10%, with the median time to bundle completion being 1.3 hours. On average, the study found that completion of the 3-hour bundle at 6 hours was associated with mortality that was appx. 3 percentage points higher than the mortality associated with completion of the bundle within 1 hour. Lastly, only the timing of the antibiotic, culture and lactate components was found to be significant, the timing of the IVF component was not found to significantly affect outcome. 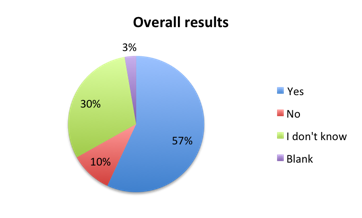 We should also point out that very few respondents in either the English or Spanish survey thought that the new bundle reflects clinical reality at the bedside. We included this choice as an option because the new SSC Bundle guideline specifically mentions the authors’ belief that the current clinical reality at the bedside is that clinicians begin treatment immediately rather than waiting or extending resuscitation measures over longer periods. While this may be the case, very few of our survey respondents believed that completion of the bundle steps within 1 hour reflects current clinical reality at the bedside. 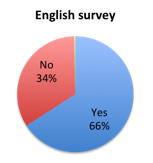 In terms of the disapproving responders, most in the English survey (44%) tended to believe that the bundle doesn’t provide enough time to practically administer its steps (question 3, choice A), whereas Spanish survey disapprovers were more concerned (46%) with the bundle forcing clinicians to apply cookbook medicine without enough time for thoughtful decision making (choice B). A smaller but significant percentage of disapprovers (19% overall) thought the bundle may increase antibiotic administration and cause other harm such as volume overloading (choice D). Some of these concerns were also echoed in the survey’s free comment section (question 5). While many commenters generally supported the new bundle and timeline, some thought that it would be very difficult to achieve given current staffing resources and processes. Several comments pointed the finger at cumbersome bureaucratic processes and resource limitations in particular as a reason for not being able to meet a 1 hour timeline. A few comments also expressed concern with 1 hour not being sufficient time to properly evaluate the patient and with the bundle’s potential dangers, especially IV fluid over-administration. Our survey results show that the large majority of practitioners around the world support the new 1-hour SSC Sepsis Bundle, but that some concerns do remain. For one, many countries and centers do not have the resources, training and processes in place necessary to facilitate such rapid execution of the bundle steps. Timely execution of this bundle requires having sufficient staff well trained in sepsis care, logistical changes, for example, placing all materials and drugs needed to treat sepsis in an easily accessible place (eg, a sepsis crash cart), and a commitment from hospital management to provide the financial and administrative support to implement the necessary measures. Secondly, a number of respondents expressed concern that 1 hour is insufficient time to practically, intelligently and safely administer all the bundle steps. For example, is 1 hour enough time to put in an IV, bolus the 1.5-2 L of fluid needed by an average size adult, and assess fluid response before deciding to administer vasopressors? If too much IV fluid is given too fast and in the wrong patient, for example, one with heart or renal failure, do we put the patient at higher risk of complications such as heart failure or pulmonary congestion from fluid overloading? And should large volumes of IV fluids even be given to patients if no critical care facilities available to treat them if something goes wrong? A study by Andrews et al, for example, illustrates the risks of large IV fluid volume administration in sepsis patients in the wrong population and setting. Antibiotic administration is also not without risk. A number of recent studies have shown that powerful IV antibiotics commonly used in sepsis care are causing significant acute kidney injury from which patients often only partially recover. With antibiotic resistance on the rise, great efforts are under way to employ antibiotic stewardship strategies and reduce antibiotic administration in hospitals. But this clashes somewhat with the goals of sepsis therapy where fast decisions must be made whether someone needs antibiotics, decisions that increase the risk of overprescribing or prescribing the wrong drug, potentially contributing to increased resistance. For this reason, we believe it is extremely important to make every effort to identify the infectious agent quickly and appropriately and quickly narrow the antibiotics to appropriate agents. We are big fans of new rapid diagnostic tests for infectious agents that can return identification results in as little as 45 minutes vs. the days that it takes with cultures, and we cover some of these in the Diagnosis chapter of our Sepsis app. Without a doubt, prompt diagnosis and treatment of sepsis is key to survival and a good recovery. However, treatment should be judiciously applied and tailored to the specific needs of individual patients. We must ensure that in our effort to treat fast we don’t make hasty decisions that cause harm. Our survey of 625 ESCAVO Sepsis Clinical Guide app users, of whom 90% were physicians and nurses, showed that 80% of healthcare professionals supported the new 1-hour SSC Sepsis Bundle. Over 50% of respondents reported that the new bundle will be implemented at their institution. Over 65 countries were represented in the survey, with the highest number of respondents being from the US, Mexico, Columbia, the UK, Italy and Peru. Some geographical variability in support was observed, with South America, Asia and some countries in Europe, notably the UK and Spain, showing the highest level of support, and the US and Mexico showing somewhat lower levels of support. Nurses were found to support the new bundle at a higher rate than physicians, while support among different types of physician (eg, critical care vs. EM vs. others) was similar. Among supporters of the bundle, literature evidence and general improvement in survival with faster treatment were given as primary reasons for support, whereas among disapprovers, concern with 1 hour being too short a time to practically administer bundle steps or to undertake thoughtful clinical decision making were the main reasons given as reasons for disapproval. We hope the results of this survey provide additional insight into support and adoption of the new bundle by the global clinical community, insight that will lead to the continued improvement of sepsis treatment recommendations.